Invisalign is a revolutionary orthodontic method. 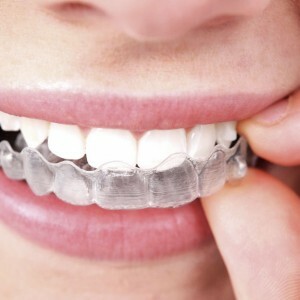 Invisalign is so amazing, in fact, that the treatment sometimes seems too good to be true. But it’s a fact that you can’t see the aligners while they slowly but gently move your teeth, and it’s a fact that Invisalign takes only a fraction of the time that conventional braces do. Learning how Invisalign works will help you appreciate this nuanced but highly targeted method of tooth alignment – and understand why it can work for you. Philadelphia Dentistry, Elite Provider of Invisalign in Center, City, Philadelphia, will determine whether you’re a good candidate for Invisalign, and provide insight into the methodology behind this dental innovation. Invisalign’s clear aligners are responsible for straightening teeth and adjusting the jaw for complete functionality, good oral health, and a flawless smile, but just how is this magic accomplished? Each Invisalign case is customized to the patient. Through detailed 3D imaging, teeth are moved around on a computer screen and the jaw is observed from different angles to identify the best path to the end goal – straight teeth. Dr. Cirka, Dr. Meier, Dr. Jeon or Dr. Smith designs an initial treatment plan from start to finish before the first Invisalign aligner is even placed on your teeth. The number of Invisalign aligners to be worn over the course of your treatment is determined at the start. Invisalign attachments may be attached to your teeth temporarily to help the aligners fit more snugly against your teeth. Our experienced doctors, monitors the progress of your Invisalign braces through periodic check-ups. New aligners will be issued about every six weeks so you can continue methodically through your treatment. Ultimately, the success of your Invisalign braces is up to you and your dedication to your treatment. It’s essential to follow the rules of Invisalign so your teeth move as intended and on the unique timeline your dentist has determined. Wear aligners for 20 to 22 hours a day, without exception. Clean aligners so they stay clear and odor-free. Remove aligners for all meals and snacks. Only drink water while wearing aligners – other foods and beverages will stain. Change aligners every two weeks, or as indicated in your treatment plan. Wear your retainer once Invisalign treatment is complete. Gently but firmly moves teeth and bite into their new positions. Shifts only a few teeth at a time. Moves tooth and tooth root simultaneously. The methodology could be called simple, but the work of Invisalign is complex, careful, and, most of all, effective. Besides the obvious benefit of Invisalign being nearly impossible to see, the wearer also avoids the discomfort of brackets and wires that are part of conventional metal braces. Invisalign is just as powerful as regular braces and far more friendly, especially for busy adults. To make sure you get the very best course of Invisalign braces, see Dr. Ken Cirka, Elite Provider of Invisalign in Center City, Philadelphia. He has fitted hundreds of patients with Invisalign, carefully monitored their progress, and led them to their perfect smile. Contact us today to make your consultation or learn more about how Invisalign works and whether it’s right for you.